Toni is a dog trainer and behavior consultant who earned her certificate in training and counseling (CTC) through The Academy for Dog Trainers, widely regarded as the country's premier dog training and behavior program. She graduated from the Academy with Honors after a rigorous two years of practical training and academic study in animal learning theory. 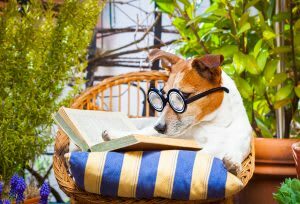 Dog training is an unregulated profession so it is important to choose a trainer who is certified and has invested a significant amount of time in their education. Toni is also certified through the Victoria Stilwell Academy for Dog Training and Behavior (VSA-CDT). Victoria is known through her work on Animal Planet's "It's Me or the Dog" and is a leading advocate of positive reinforcement-based training. 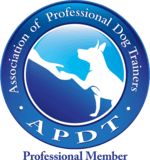 Toni is also a professional member of the Association of Pet Dog Trainers and the Pet Professional Guild. Toni grew up in England and earned a Bachelor of Art degree in English and American Literature from the University of Kent in Canterbury. She earned a Masters degree in journalism from Columbia University in New York and spent two decades as a journalist before switching to dog training.